As part of a new partnership with LYNX, Seminole State College students and employees will now be able to ride the LYNX system absolutely free. Free bus services are available on all LYNX fixed routes and NeighborLink routes during times when LYNX is in service. Students can ride for free by showing their Blue & Gold card or downloading the LYNX PawPass mobile app. Follow the Registration Instructions to register today. LYNX bus routes and schedules can be found at LYNX Schedules. Visit LYNX in an internet browser on your computer, mobile device or tablet. Click the Create an Account link at the top of the screen. On the Register screen, enter your email address and a password. Click the Login link at the top of the screen. The Your Account screen will be displayed upon successful registration or login. Look for “Seminole State College” on the Your Account screen. On the Verify screen, enter your Last Name and Student ID, as registered with Seminole State College. Click the Verify button. This is a one-time student verification. If the Last Name and Student ID you have entered matches the College database, a pop-up will be displayed containing privacy text. Click Accept. Verification will now be complete. A Student Pass has been added to your LYNX PawPass account. If the Last Name and Student ID you have entered does not match the College database, an error message will be displayed. Try again – or contact Dr. Jan Lloyd, associate vice president of Student Development, at 407.708.2890 for assistance. On your smartphone or tablet, download and install the LYNX PawPass mobile app. 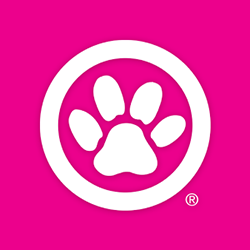 Find the pink “PawPass” launch icon on your mobile device and tap it. You may be prompted to log in to your account if not already logged in. To log in, enter the email address and password you used to register with LYNX PawPass. On the My Tickets screen, look for "Seminole State College." Click the plus sign (+) to open that section. Your Student Pass will be shown. If you don’t see “Seminole State College” on the My Tickets screen, you will need to wait for the update to the PawPass app before proceeding. Once the update is released, install it and relaunch the app. Then follow the steps. During the grace period, you can simply show your Blue & Gold Card (Seminole State ID) to ride the bus for free. Tap the Use Now button next to the Student Pass row. Tap the displayed Yes, I am Boarding Now button. This will activate your ticket. Show the activated ticket and your Seminole State to the bus driver upon boarding the bus. simply access your Student Pass on the My Tickets screen.